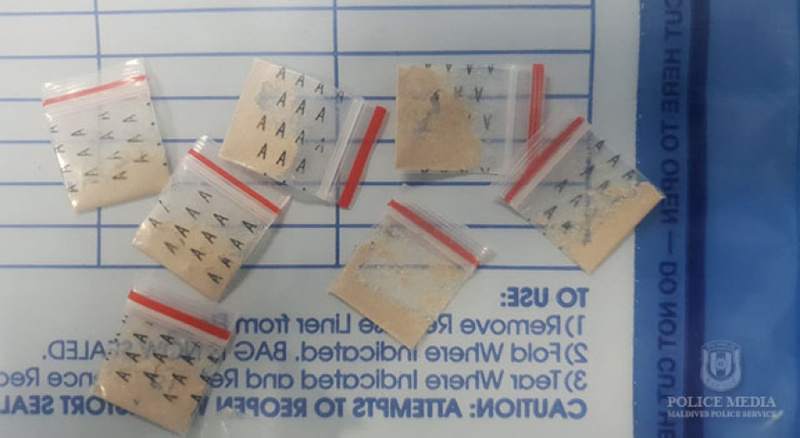 A minor has been arrested with drugs in Lhaivyani Naifaru. The website of the Maldives Police Service said that the minor was arrested in a special operation following information received. Police said that a minor was stopped near the new harbor of the island and found four packets of suspected drugs. The minor has been remanded by the Naifaru Magistrate Court. On 9 August, Naifaru POlice Station and Police Intelligence conducted a collaborative operation where a 26-year-old was arrested with suspected drugs. The two cases are being investigated further by the Naifaru Police.